Grain-based foods have been demonised by a number of dietary trends in recent years (think paleolithic diets, low carbohydrate diets and gluten free diets). 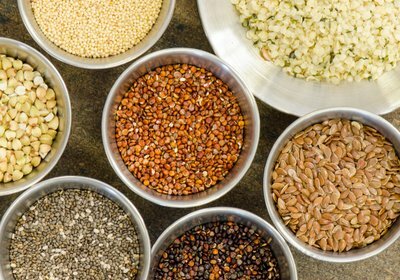 However, this reputation is ill-earned, with robust scientific evidence to suggest that diets rich in whole grains confer protection against a range of diseases, including type 2 diabetes, obesity, cancer, and cardiovascular disease. If you’re following a low FODMAP diet, you might feel it’s easier to restrict your intake of grain-based foods as many of them are high in FODMAPs and off limits anyway. Well this is far from true, as there are an abundance of healthy, tasty, low FODMAP grains to choose from. If you’re willing to expand your repertoire and try less traditional varieties, this will provide more choice, as will choosing grains that may be rated red/amber at a full serve, but green (low FODMAP) at a half serve. 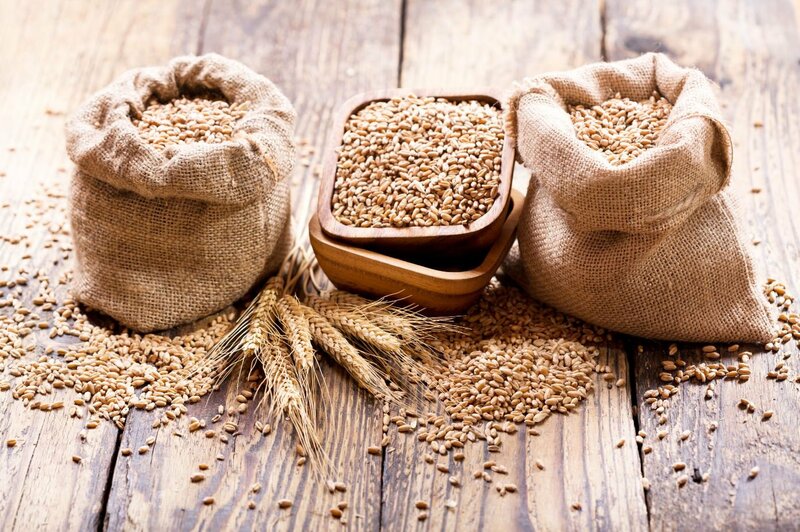 Grain-based foods include those made from wheat, oats, rice, corn (maize), barley, sorghum, rye, millet, farro (emmer), freekeh, kamut, spelt, triticale, amaranth, buckwheat and quinoa. Processing greatly affects the nutrient composition of the grain-food end product, with whole grains being nutritionally superior to refined grains. Whole grains are those left intact after food processing and thus contain all three layers of the grain (the bran, endosperm, and germ). By contrast, refined grains are those that have had one or more parts of the grain removed during food processing, e.g. the bran. From a nutrition perspective, choosing foods rich in whole grains in preference to refined grains is preferable as they are more nutrient dense: rich in carbohydrates, protein, fibre, iron, magnesium, iodine, folate, and thiamine. In future blogs, we’ll discover how to identify whether a processed food is likely to contain whole or refined grains and discuss uses of some of the less traditional grains. Stay tuned!